Hi! I’m a Swedish girl, studying Bachelor of Science majoring in Marine Biology in Australia. The ocean and it’s beautiful creatures has always been a big passion of mine and a question I get a lot is - Why should we care about the ocean? Because the ocean is the cornerstone of earth's life support system, it shapes climate and weather. It holds most of life on earth. 97% of earth's water is there. 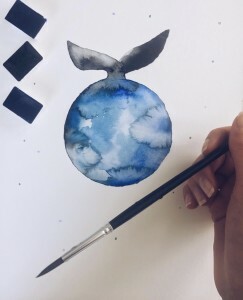 It's the blue heart of the planet, and we should take care of our heart. It's what makes life possible for us. We still have a really good chance to make things better than they are. They won't get better unless we take the action and inspire others to do the same thing. No one is without power. Everybody has the capacity to do something, so lets save our oceans, together!